This is but one fact among many (part of a cumulative case line of reasoning). The assumption appears to be that John Calvin's presence in Geneva was so ruthlessly despotic, it resulted in his own family members being executed for adultery. This little John Calvin tidbit has traveled around cyberspace, for instance, see this link, this link, this link, etc. Well then, let's pick up the book this fact is said to come from and do a little research as directed. Yes, there was an adultery scandal in Calvin's family, but we'll see that John Calvin didn't have a son-in-law, nor were any of his family members executed. 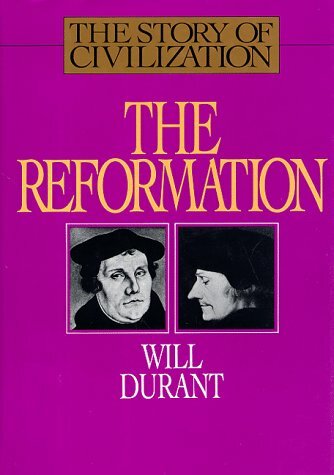 Documentation for this information is provided via a book: Will Durant, The Reformation, pp. 472-476 (a few links are also provided, but are not relevant to this specific quote). There's a blatant irony to this documentation. "Clement Li" didn't actually put this documentation together, but rather plagiarized it word-for-word from another web-page (a page no longer extant, but I can prove it, if need be). In fact, every historical tidbit (in the exact order) that "Clement Li" put forth in the blog entry was plagiarized from another web page. The blatant irony, therefore, is that Calvinists are being directed to pick up a book and do a little research by someone who didn't bother to pick up a book and do a little research! The first part of this segment is evaluated here. One thing to notice immediately: Durant does not say John Calvin's relatives were executed, but were rather, "condemned for adultery." It appears, someone, at some point, simply made the assumption that "condemned" means "executed." This does not necessarily follow. Durant is not saying the extant records prove these people were executed. But if we turn from these personal impressions to an examination of the acts of the Consistory, we get a very different impression. The records of Geneva show more cases of vice after the Reformation than before. The continually increasing severity of the penalties enacted against vice and frivolity seem to prove that the government was helpless to suppress them. Among those convicted of adultery were two of Calvin's own female relatives, his brother's wife and his step-daughter Judith. This source does not say what Durant says it does. Durant says, "Calvin's son-in-law and his stepdaughter were among those condemned for adultery." Preserved Smith though says it was "his brother's wife and his step-daughter Judith." There is no mention of a "son-in-law." Durant appears to have done some factual blundering (again!) when extracting the information from his sources. 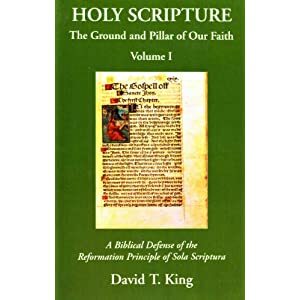 One other thing to mention is that previous to the records of the consistory during Calvin's era, there were not any records of the consistory. Preserved Smith's comparison therefore, may be unjustified. There were no factual records of "before" to make a comparison to, if Smith has the Consistory's actions in mind. If Smith simply means the extant records of Geneva, the Consistory put forth a myriad of new punishable offenses when it came into relevance as a societal governing body, and these offenses were at times forwarded to the secular governing authorities in Geneva. Of course there would be "more cases of vice" simply because there were now more rules against particular vices and an effort to enforce those rules because of the Consistory. The way Smith presents the facts, one gets the impression that Geneva was more sanitized previous to Calvin and the Consistory. This does not necessarily follow. Calvin's brother Antoine lived in John Calvin's house in Geneva along with his wife Anne. Reading in-between the lines of what is known about this brother and his wife Anne, it doesn't appear they were a happy couple. Calvin's brother wanted out of the relationship (and it may be Anne also wanted out). As the events unfolded, it appears John Calvin used his position to try and secure a legal divorce for his brother. Anne was charged twice with adultery. The first occurred in 1548. The evidence does suggest that something peculiar was going on between Anne and Jean Chautempts. The two were interrogated and held for a short period of time, but nothing was ever conclusively proven. It does not appear these people were tortured (as was legally customary during this time period), but they were subjected to intense questioning. Anne never admitted to the charges against her. ...[T]he leaders of the government of Geneva had demonstrated that they still clung to the traditional belief that marriage should ordinarily be an irrevocable lifetime contract. They did not wish to consider a divorce except in the most extreme circumstances, accompanied with truly decisive proof of serious misconduct. (Klingdon, p.78). Fast forward eight years, and Anne found herself in trouble again. She had taken up responsibility running the entire Calvin household. Klingdon states, "...she had displayed far too much familiarity with one of the servants employed for her husband's business" (Klingdon, p. 79). The servant was named Pierre Daguet. According to Klingdon, the Calvin brothers were the suspicious parties and were those who brought complaint against Anne, which landed her in prison. Once again, the Calvin brothers appear to have been looking for grounds for divorce. The trial was not done by the Consistory, but was forwarded to the Genevan secular authorities. This time, Anne was tortured as part of her interrogation, but again she did not confess. Despite her lack of confession, the divorce was granted, and Anne was banished from Geneva. Both Antoine and Anne eventually remarried. It is hard for a modern reader going through this dossier to feel confident that justice was actually done in this case. Clearly Anne Le Fert had been imprudent in her friendship with other men. Clearly she and her husband had come to dislike each other and wanted to escape from this marriage. Clearly her husband's powerful brother found her offensive and wanted her thrown out of his house. But the evidence in both of these cases for actual adultery is very thin. And Anne's persistent denial of the charges, even under two rounds of torture, make one very uneasy. If she was not innocent, she was physically far more courageous and resilient than most people of her period. Torture could make even the innocent confess. The Calvin brothers, however, were determined to avoid even the hint of impropriety in their household, even the possibility of malicious gossip about anyone under their roof. So Anne Le Fert had to go (Klingdon, 87-88). Calvin's step-daughter Judith was one the two children of Idelette Stordeur brought into the Calvin household. I found very little information about Judith's adultery case. This source simply states, "In 1562, his step-daughter, Judith, fell into similar disgrace,—a matter which Calvin felt so keenly that he left the city to seek the solitude of the country for a few days after the misdeed became public knowledge." This source states, "Calvin's step-daughter, who had lived with Calvin and his wife in Geneva prior to her marriage, was also found guilty of adultery." This source states, "Idelette's premature death in 1549 devastated Calvin. His pain was doubled by Idelette's premature death and his stepdaughter Judith's 'lustful rush' into marriage and divorce a few years later on account of her adultery." When I wrote lately to our friend Blaurer I was prevented from doing so to you, because, before I was quite recovered from an attack of fever, a domestic sorrow, occasioned by the dishonour of my step-daughter, compelled me to seek the privacy of solitude for a few days. When I was in my rustic cottage your letter was presented to me, with the contents of which many rumours from other quarters perfectly agree. We have, then, good reason to be afraid. But how to take measures of precaution is difficult. How great the confusion is in France, you will learn partly from a letter of our brother Beza, of which I send you a copy, and I will myself partly briefly allude to it. Judith was married docilely to a good man of her father's choice. Guillaume Farel wrote a note of congratulation to his friend about the girl of whom he, too, was very fond, "I congratulate her and because of her, her husband." Geneva was aghast when seven years later the stepdaughter of Jean, Judith, had to be banished for adultery. The laws of Calvin knew no exception to the rule. Her father, who had always loved her, was crushed by her sin. The facts do not support the entire assertion, "Calvin's own step-daughter and son-in-law were among those condemned for adultery and executed." Calvin did not have a son-in-law, nor were Calvin's relatives executed for adultery. True, I did not locate conclusive proof as to the exact fate of Judith, but I find it unlikely that she was executed. Had she been, I find it unlikely that Calvin's detractors throughout the centuries simply ignored it. Anne Le Fert's legal troubles demonstrate that Calvin was far from being Geneva's ruthless dictator. Rather, Calvin had to jump through hoops over a long period of time to finally secure a divorce for his brother. John Calvin though is not completely vindicated, particularly from a contemporary perspective. His "evil" (for lack of a better word), was using his influence to a secure a divorce for his brother, from a woman (it appears) that he didn't like and wanted out of his household. Anne Le Fert was not convicted by facts, but rather insinuation, insinuation that John Calvin approved of and used to his advantage. This conviction included torture and banishment. While these atrocities were typical of sixteenth century society, what makes them all the worse is that Anne suffered them without actually being proven absolutely guilty.